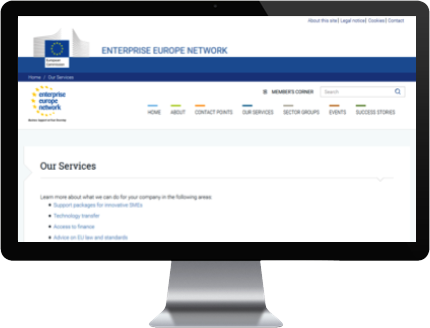 The Enterprise Europe Network is your gateway to competiveness and innovation. Wherever you are in Europe, you can gain access to all the information you need to develop your business and find the right partners. Services are specifically designed for small and medium enterprises (SMEs) but are also available to all businesses, research centers and Universities across Europe. The Enterprise Europe Network is made up of close to 600 partner organizations in more than 50 countries, promoting competitiveness and innovation at the local level in Europe and beyond.